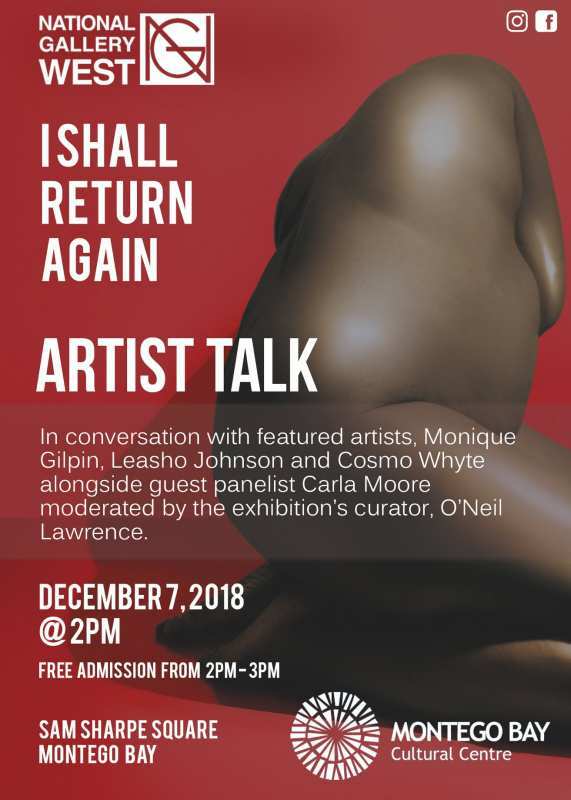 This event is an inaugural Artist Talk to accompany the current exhibition 'I Shall Return Again'. It will be moderated by the exhibition's curator O'Neil Lawrence. The conversation will include artists such as Monique Gilpin, Leasho Johnson, and Cosmo Whyte, alongside guest panellist, Carla Moore (lecturer in Gender and Development Studies at the University of the West Indies' western campus). The discussion will explore the ways in which the themes of postcolonial identities, gender, sexuality and Dancehall culture are explored in their work and how these themes relate to Western Jamaican realities.